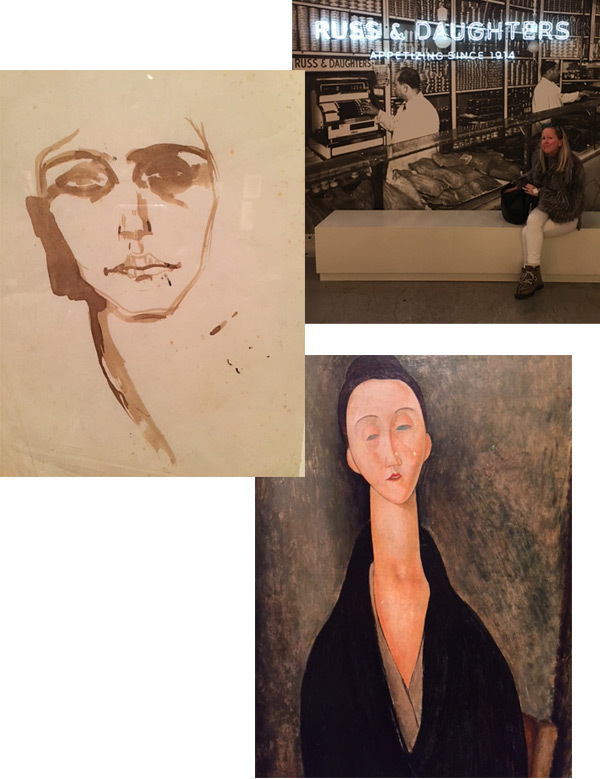 If you are in NYC this weekend and looking for ways to beat the deep freeze, put the Modigliani exhibition at The Jewish Museum on your to-do list. I recommend going on Sunday because the newly opened Russ & Daughters is closed on Saturdays and it’s worth a visit. Can you please remind me who makes those great boots you are wearing. A winter like this one prompts the need for something a bit warmer and still attractive. They are Penelope Chilvers Incredible boots (the name is apt). I’d love to see this. I adore Modigliani. I want those boots too! Are yours the “gintonic” color? They look lighter on the website. Thanks! Yes, mine are gintonic. Black are great, too. Thanks so much for this, love your city tips. We are visiting New York late spring so I’ll file this away. Love the white jeans with short fur! It’s an exceptional, beautifully curated exhibition and will not travel elsewhere in America. Through January 21.